Ii made a ring from a salt spoon. 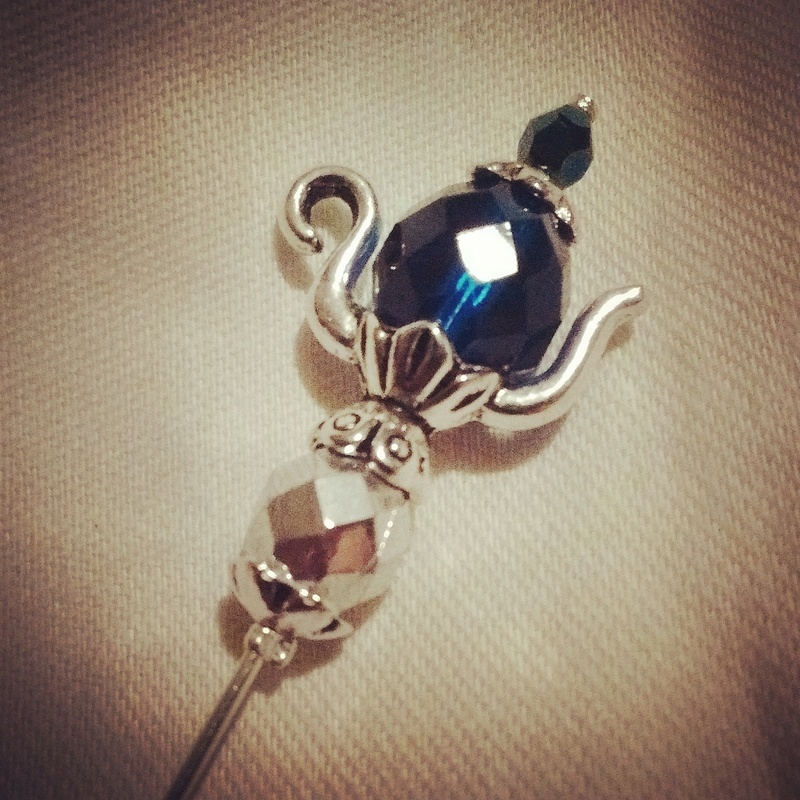 And a teapot hat pin. I need to think how much to charge for these at the illicit market. They are bohemian crystals beads on this one. What do you reckon, £3-4 or is that not enough. Don't want to undersell either. When people pay £5 for a pin badge I think I could charge that or a bit more. Think they're both great, Jo. Haven't a clue how much to charge, as I don't know the market for this type of thing, but if people are paying a fiver for a badge then you should certainly charge more. Keep looking at that ring. It's brilliant! Good use of an old spoon. Pins, how much do they cost you to make? I would imagine anyone into that type of thing would pay a fiver. A fiver would be a good start and if people don't buy them you know you've set the price a little high, but have no idea really, it's very pretty though and I like the spoon too. Unusual make with the spoon Jo& I like the hat pin. Not sure on pricing. The pin probably cost around £1 to make, and they don't take long. Thanks all. I've been asked if I'm making the rings to sell,lol. I really need my vice. Which has mysteriously disappeared!! Hope you find it, Jo. I found one in the shed, it's not mine but it will be OK, yay! 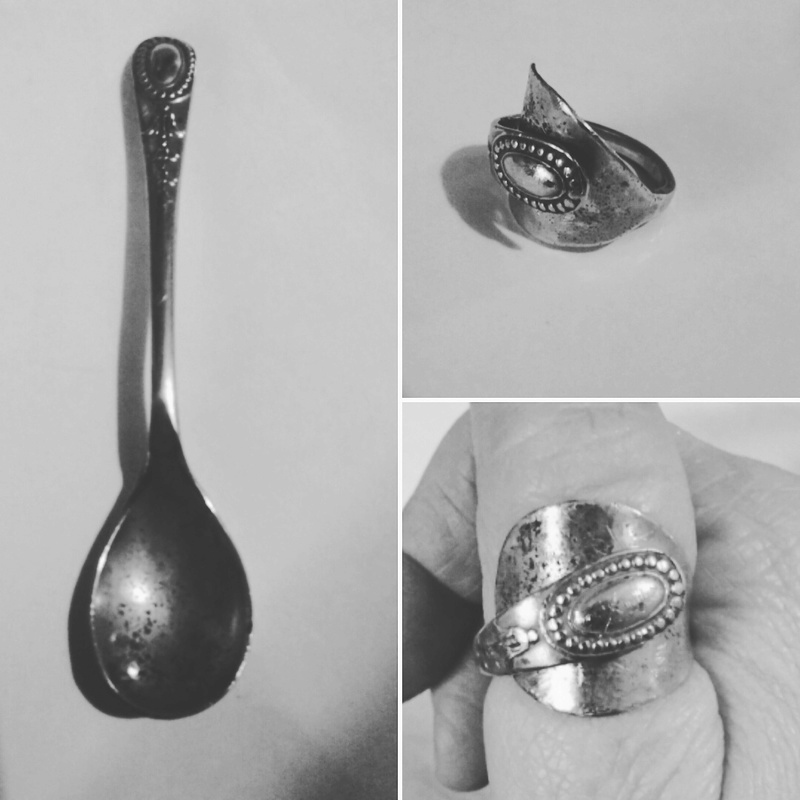 There's a stall with those spoons in Covent garden and they're quite expensive, have a look on etsy at what people charge for similar, and pins. £5 seems fine especially if people pay that for a badge. Thanks Karilyn, I am not going to sell the rings, it was just the pin.Although I have been asked if I'd make a ring for a friend.